Born in Vancouver, Marilyn Hon Jung now lives in Toronto. She is the Board president of Gendai Gallery, a not-for-profit organization founded in 2000, cultivating dialogue through contemporary art, focusing on experimental collaborations with artists and organizations for the production and dissemination of artwork from East Asian perspectives. Since the late 1980s, as a cultural activist dedicated to advancing the work of Asian Canadians on the artistic and cultural landscape, she has a comprehensive collection of exhibition ephemera and catalogues. Jung donated 23 photographs. 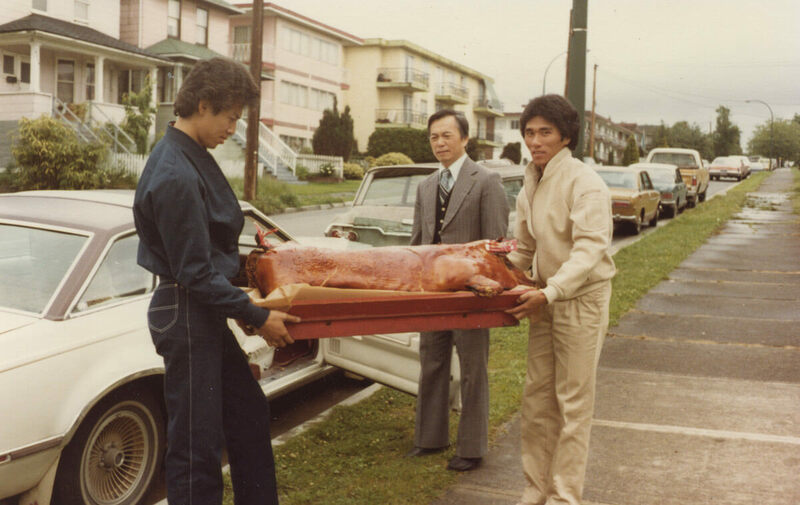 Delivering a roasted pig to the bride one month before the wedding. (June, 1981). Image courtesy Marilyn Hon Jung. 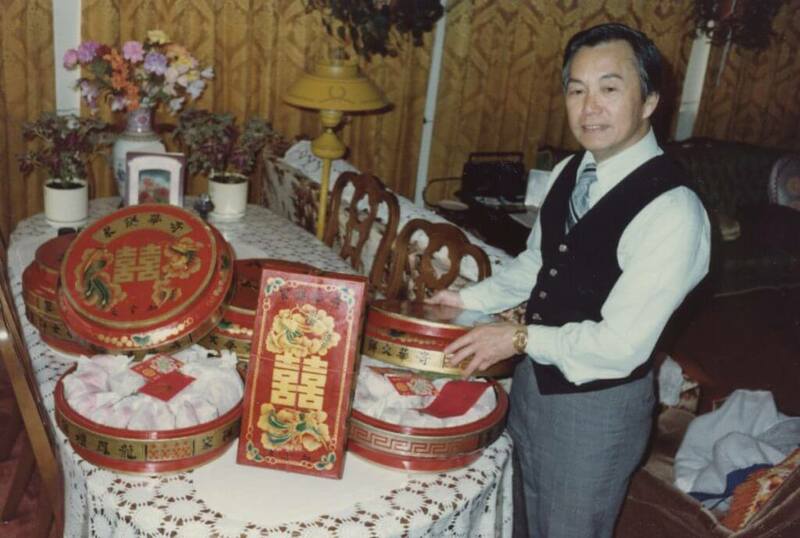 Traditional betrothal gifts (along with roasted pig) to the bride proudly displayed by Mr. Chong Hee Jung, father of his second son’s upcoming wedding. (Vancouver July 1981). Image courtesy Marilyn Hon Jung. 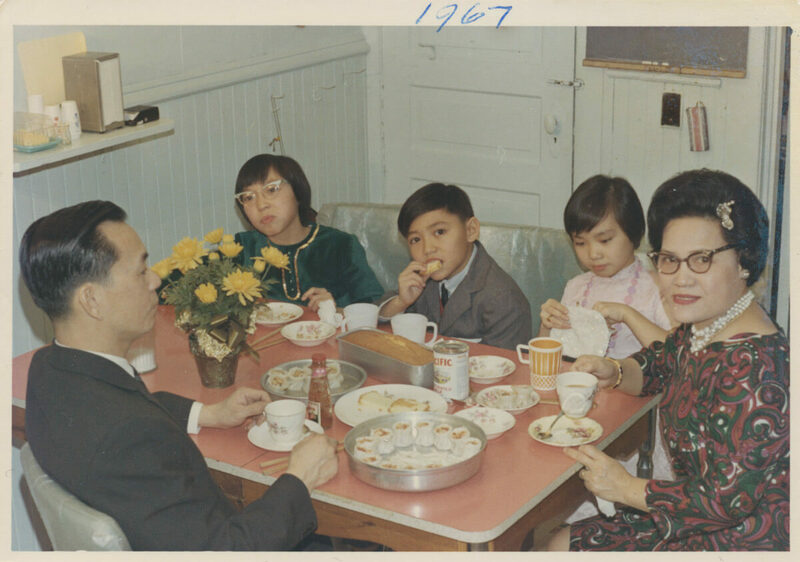 The Jung family in Vancouver, dressed up for Christmas and enjoying mum’s homemade dim sum, Vancouver, BC, December 1967. Image courtesy Marilyn Hon Jung. 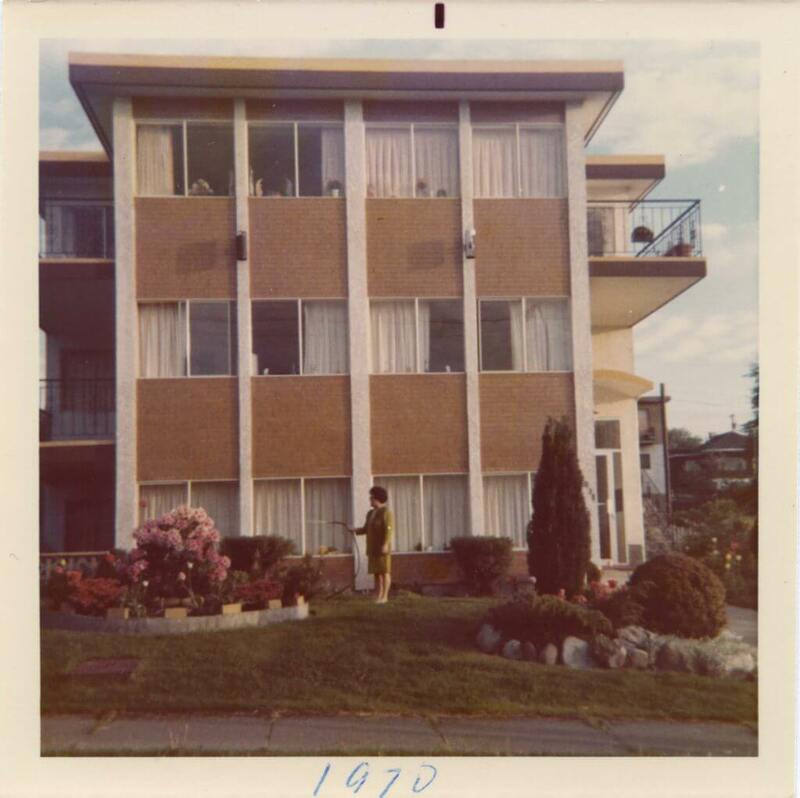 The Jung family moved away from Chinatown, built a small apartment building at 2038 Pandora Street in the East end up from Commercial Drive. Mrs. Chong Hee “Helen” Jung lovingly nurtures the front garden. (1970) Image courtesy Marilyn Hon Jung. 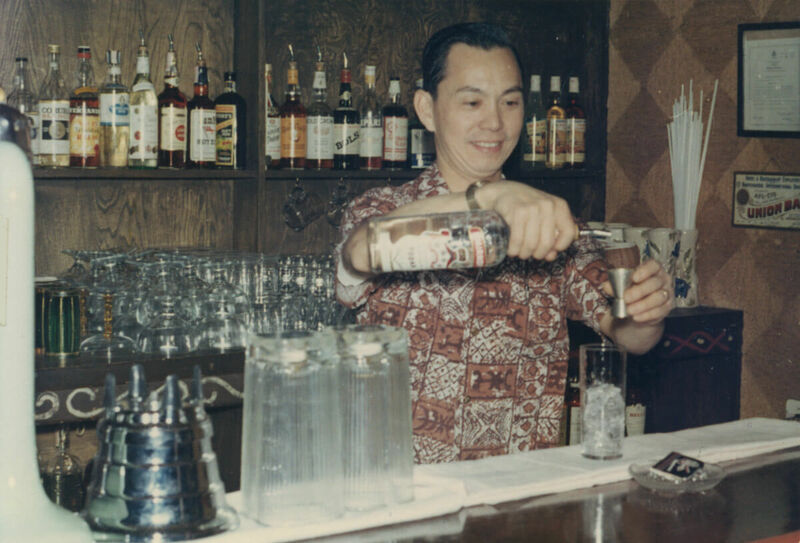 “Mai Tai anyone?” Bartender, Mr. Chong Hee “Wally” Jung preparing the signature cocktail drink at the Trader Vic’s, Bayshore Inn in Vancouver. (1967) Image courtesy Marilyn Hon Jung.